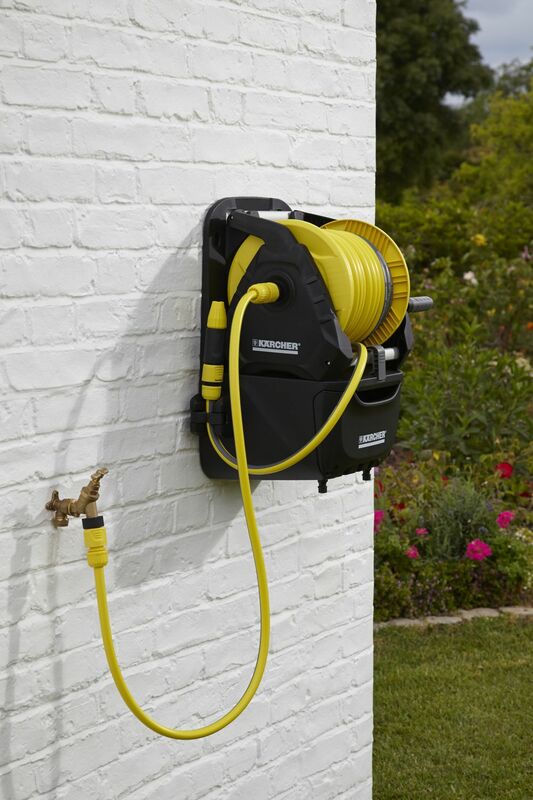 The Kärcher 7300 Premium Hose Reel is a compact, always-ready watering station ideal for mobile or stationary use. Perfect for watering small to mid-sized gardens, its innovative storage solution keeps everything you need neatly in one place. 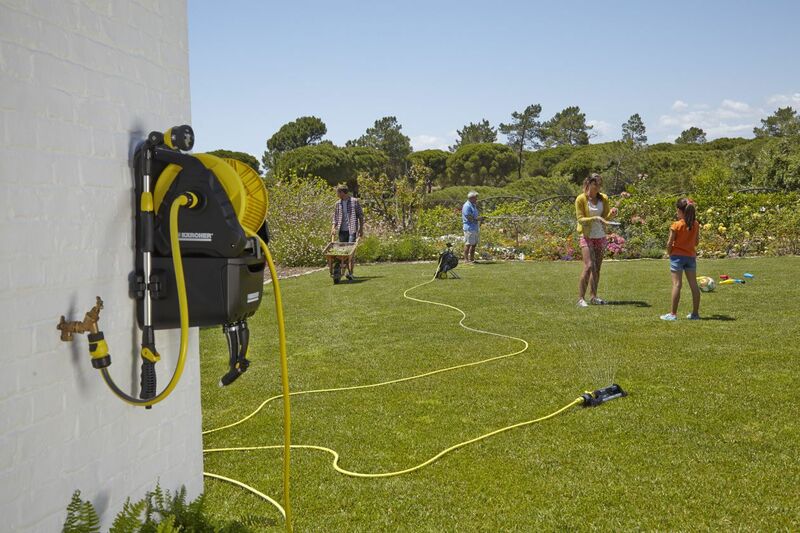 This premium hose reel includes a 2-in-1 removable drum, accessory holders to orderly store spray guns and nozzles and a box to store garden accessories like trowels and gardening gloves. 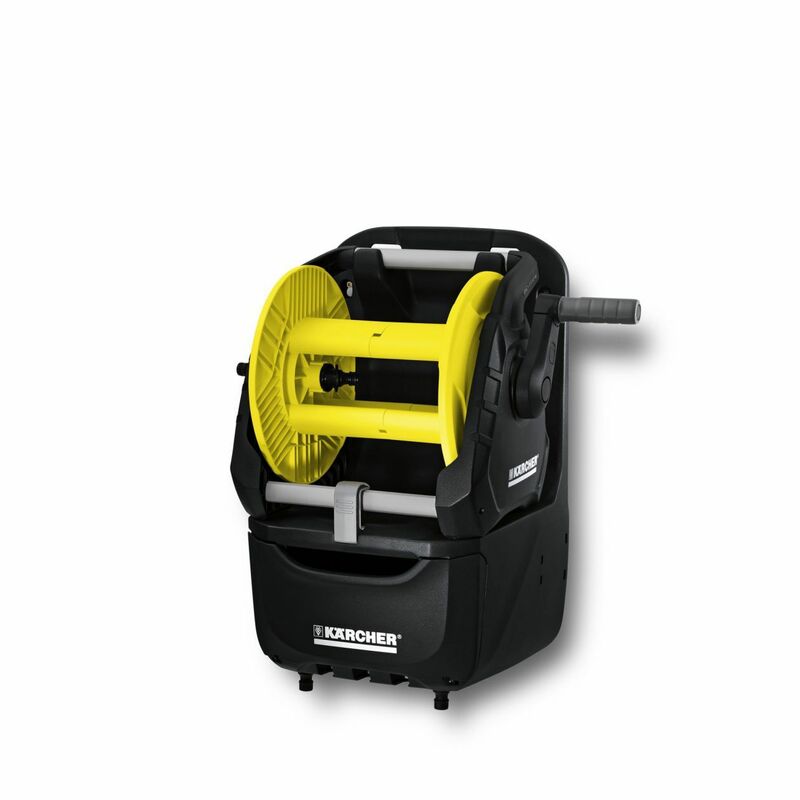 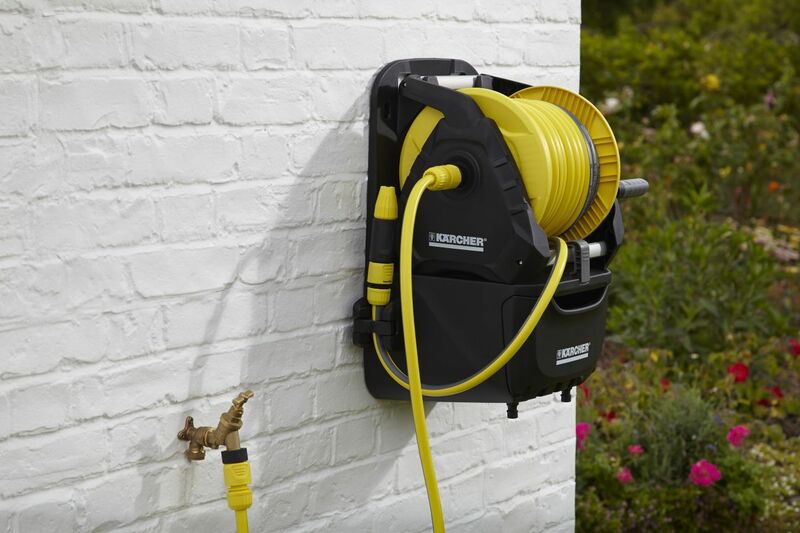 The Kärcher 7300 Premium Hose Reel comes complete with a wall bracket and two hose connectors, plus an additional clamp for spray lances. 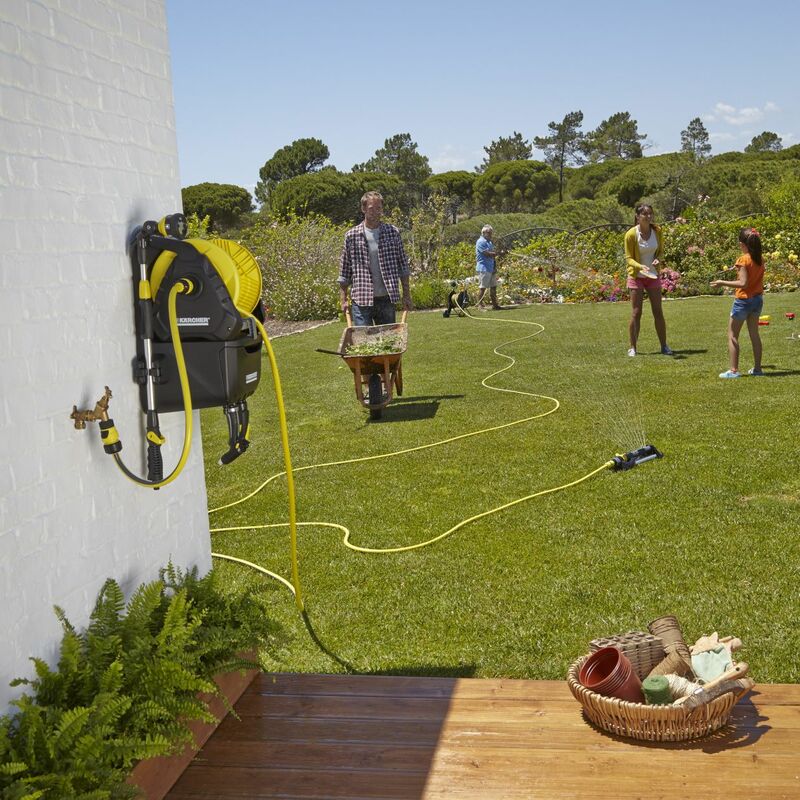 This compact watering station comes fully assembled and suitable for all common or PrimoFlex hoses, the Kärcher premium hose reel simplifies your watering needs around the garden.